A twist on the incremental genre, you are required to mouse over colours as they appear rather than click them. These can then be spent on unlocking new colours, upgrading existing colours, and more. Clicker, IdlerGolden Miner is a game where you are supposed to click the mine, to get gold. Gold can be used to get upgrades so you can get more gold without clicking the mine. It can also be used for buying other stuff. Diamonds can be used to the same. 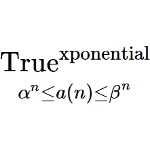 Clicker, IdlerThe first incremental with truly exponential growth!Click the button to generate cash, buy multiplier upgrade and let exponential growth do the rest.v1.0:A whole new set of Theorems, for a total of 23.Several bugfixes.v0.11:Aesthetics updatev0.10:Implements endgameCash is now multiplied instead of addedClickpower deletedv0.9:Sprint system added.Race against the clock to reach a sprint goal.Replay any prestige level and best your own record.v0.8:Prestige system added.Get to a set goal to prestige.New prestige tiers unlock more upgrades.v0.7:Prices of upgrades are now divided instead of substracted.Minor aesthetic fixes. Clicker, IdlerGuide a group of heroes on their quest for freedom. Clicker, RPGSomewhat of an RPG, the game requires you to level up your character to take on ever strong monsters. Your character doesn't have health, so dying is not an issue. With each kill comes more cash which can be spent on upgrades. IdlerRevolution Idle 2 is a simple idle game about reaching the highest possible number. The number of rev is gradually increasing after the circle successfully completed a full cycle. After you earned enough rev, unlock new circle color to multiply the rev per cycle. Try to unlock the highest possible circle first, then max out the cheapest one. Have fun! Idler, RPGProgress Quest is a next generation computer role-playing game. 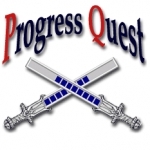 Gamers who have played modern online role-playing games, or almost any computer role-playing game, or who have at any time installed or upgraded their operating system, will find themselves incredibly comfortable with Progress Quest's very familiar gameplay. Progress Quest follows reverently in the footsteps of recent smash hit online worlds, but is careful to streamline the more tedious aspects of those offerings. Players will still have the satisfaction of building their character from a ninety-pound level 1 teenager, to an incredibly puissant, magically imbued warrior, well able to snuff out the lives of a barnload of bugbears without need of so much as a lunch break. Yet, gone are the tedious micromanagement and other frustrations common to that older generation of RPG's. IdlerHow long can you survive in this randomized apocalypse scenario? Game made by Blobzone.